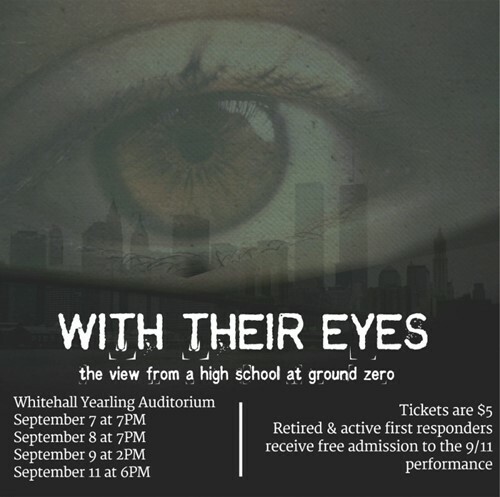 The WYHS Department of Theatre presents With Their Eyes: the view from a high school at ground zero. The play is about student accounts from Stuyvesant High School, located a few blocks away from the World Trade Center, as they watched the events of September 11th, 2001, unfold in front of them. Our drama students will be playing the parts of those from Stuyvesant High. The dates of this very special performance are September 7th-9th and 11th. Tickets are just $5. First responders will be admitted free for the September 11th performance.